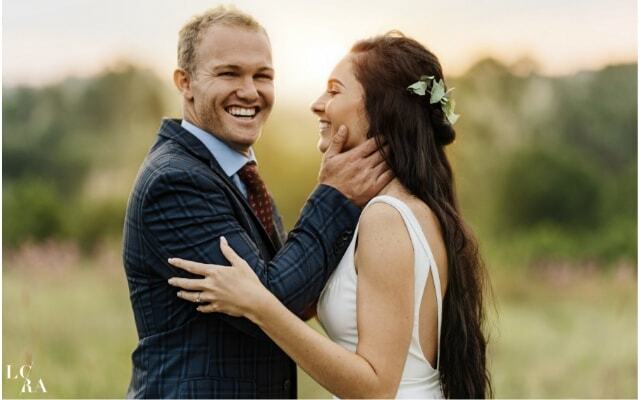 Lions rugby star Dillon Smit married his love Suan Stapelberg in a stunning, rustic wedding fit for rugby royalty. They couple first met back in Standard 9 and connected on a camp, despite Dillon’s friend having a huge crush on Suane and her friends warning her against falling for a ‘jock’. 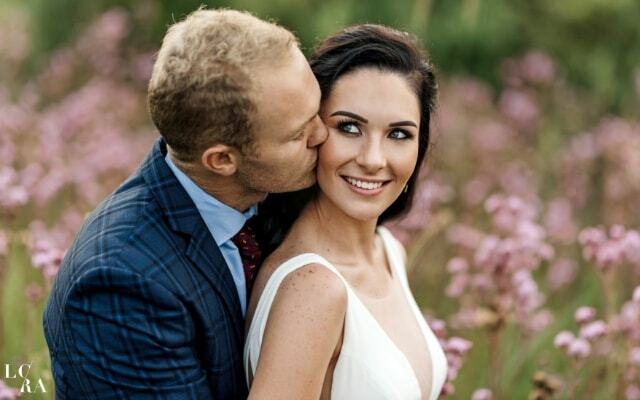 They had to wait for each other as his rugby and her legal studies took them in different directions after matric. 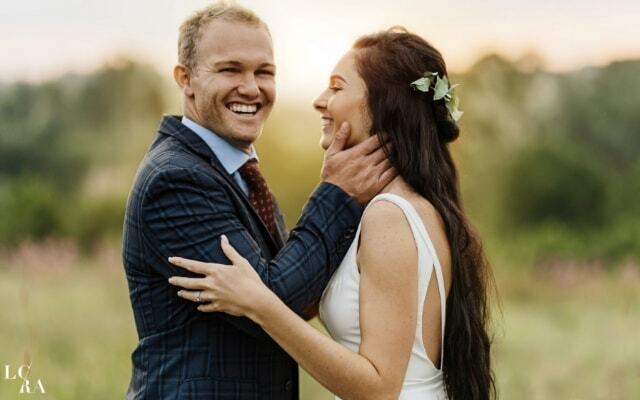 Once they reconnected in 2014, they became inseparable, and Dillon popped the question with a romantic moment in beautiful Umhlanga. 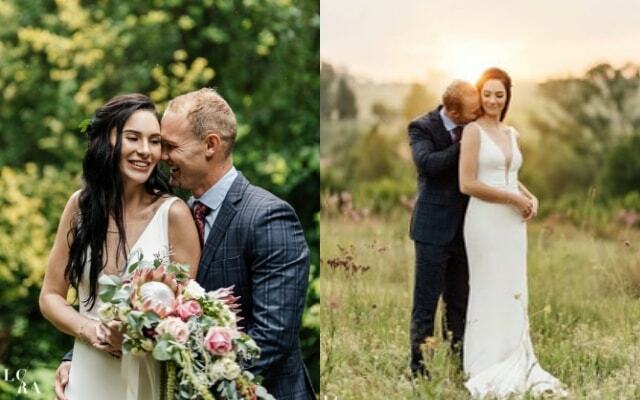 The big day was everything the couple hoped for, and the Muldersdrift venue, with its Parisian bridge of love-locks and Italian countryside styling was pure romance. Decorated by Tanya Dedericks, it was the exact style of rustic sophistication, with plenty of greenery and fairy lights for a magical touch. The groom chose a dashing Hollywood-inspired wedding suit for his big day after picturing one of his heroes, the Rock, in a similar look. 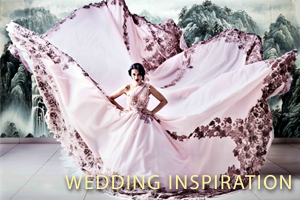 The bride on the other hand tried on a large amount of dresses, before meeting designer Jacelyn Gozadinos. Her V-line design mixed the bohemian with the luxurious and captured Suane in spirit and style. In a setting of pared down, country romance one feature did stand out. A triple-tier butter cake in chocolate, hazelnut, Swiss meringue, salted caramel and red velvet, finished in an amethyst, rock crystal design by Elli Saayman. One of the popular features was the photobooth in an old kombi, which reflected the journey which the couple see ahead. Their careers will take them to places far and wide, collecting memories at every step – and their wedding was a dream start!